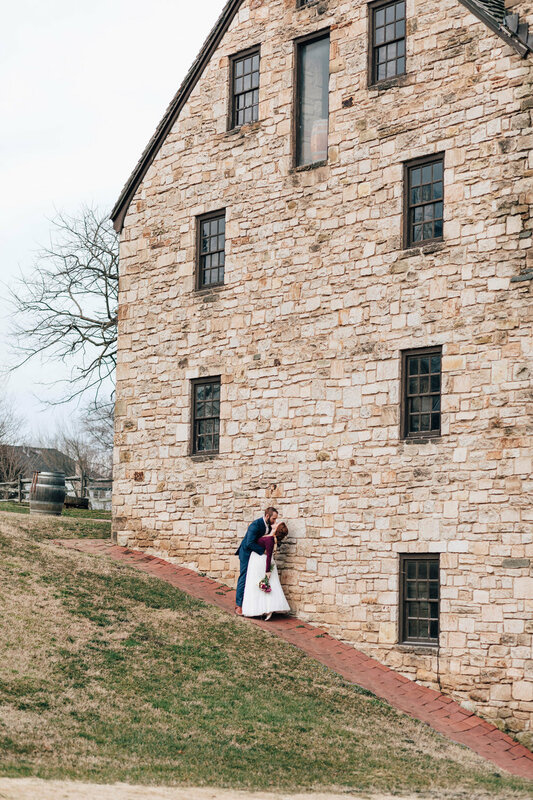 “There are fewer things more peaceful than a small ceremony brought together with age-old traditions of a simpler time. 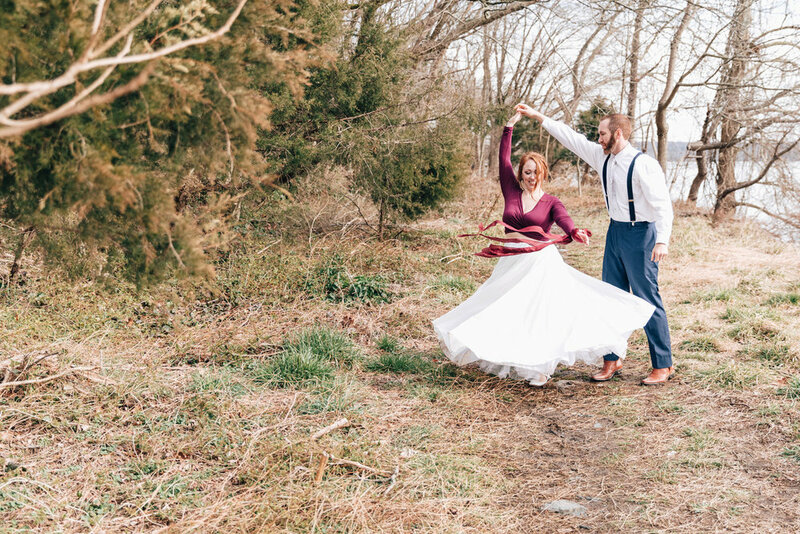 When planning began for a beautiful burgundy, purple and mauve elopement and when the timeline was finalized, the opportunity to bring together a beautiful Irish Country-inspired ceremony just in time for the famed Irish holiday was seamless. The chosen color palette popped wonderfully against the chilly March landscape that resembles the wet Irish countryside around the same time of year. The lovely floral drape on the Brentwood table paired with lilac goblets and mismatched vintage silverware brought together the classically simple, yet unique look with Rosenthal rose dishes. 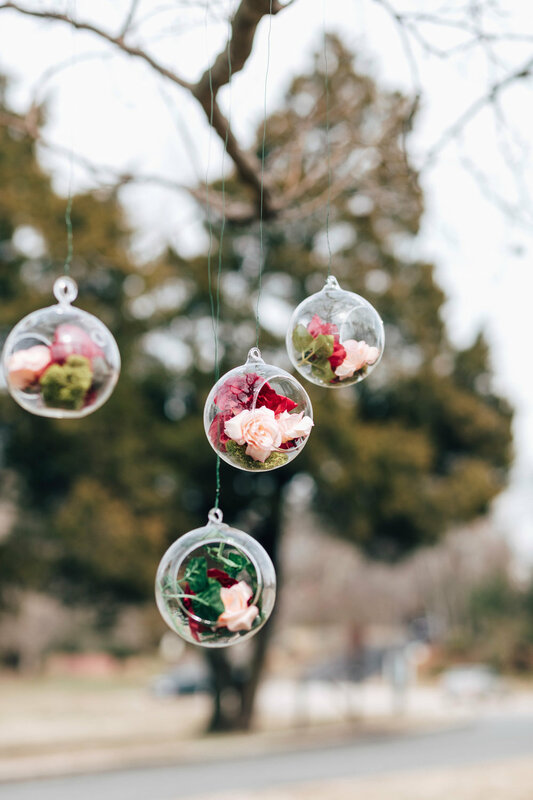 The floral stylings were further displayed with an unforgettable earthy altar under the limb of a graceful tree adorned with terrariums and cut tree trunks. The beautiful bouquet and corsage combination set off by hand torn silk ribbon complimented the bridal ensemble for that unique touch. The rum raisin ribbon was used not only to style the flowers, but also to twirl with dancing and to perform a traditional handfasting. 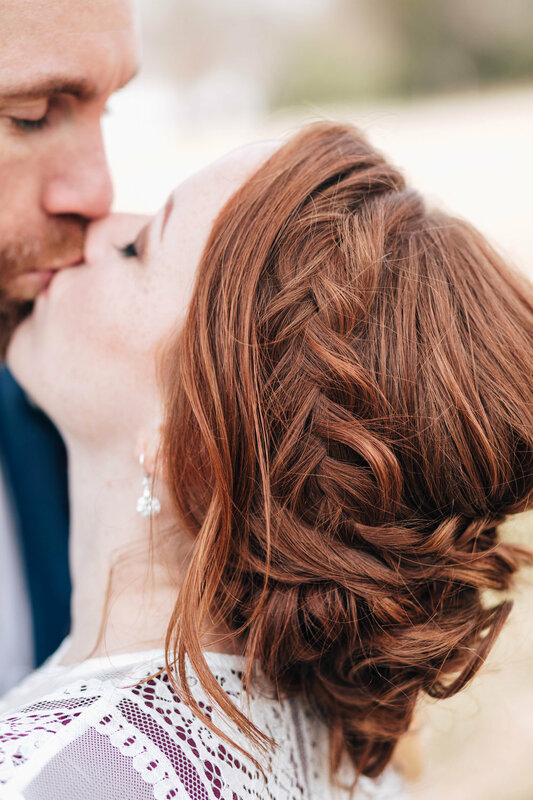 Gold ribbon was used to accentuate a modern take on the tradition of adding ribbon to the bride's beautiful braided red hair. The look for the bride was masterfully completed with soft brown eyes and a burgundy lip. The groom's outfit was completed and enhanced with a custom lavender floral tie and coordinated lavender pocket square . 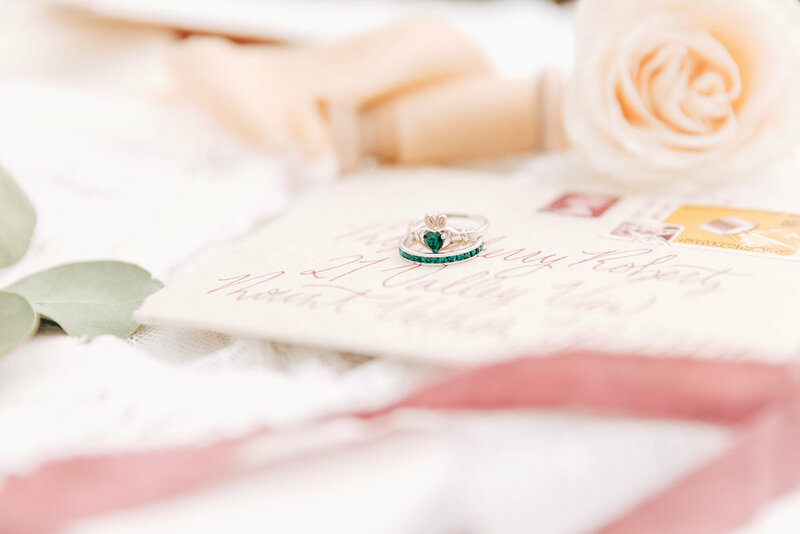 What photo shoot is complete without handmade paper stationery suite? This handmade paper […] set the tone of this country shoot perfectly. The beautifully restored white Winifred table was the perfect setup for desserts completed with a lavender painted cake and lovely gilded chocolates.